Dealing with call centres is a stress many consumers can do without, which is why automotive services firm RAC embarked on a cloud-based technology push to improve the experience. The move has seen the organisation ditch its existing Vodafone-based system, which was bundled with a basic piece of post-call survey software, in favour of a combined, cloud-based solution featuring NewVoiceMedia and Salesforce technology. 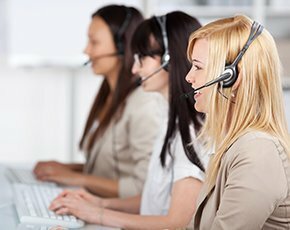 The latter came first, with RAC opting for off-premise customer relationship management (CRM) platform Salesforce1, which then prompted a second search for a telephony system that could easily integrate with it. David Peate, service delivery manager at RAC, evaluated “a countless number” of products during the search, but NewVoiceMedia’s ContactWorld for Service offering came top as integration didn’t rely on any additional application programming interfaces (APIs) or plugins with Salesforce to work. "Our telephony data and behaviour was very unattached from our customer integrations and the data in our CRM system, so we needed something that not only integrated with Salesforce but could improve our insights as well,” explains Peate. The system allows calls to be directed to the person best placed to answer them by drawing on the Salesforce CRM data, ensuring agents have all the customer data they need to adequately respond to queries quickly. Salesforce aims beyond CRM as a platform for developers and analytics. Learn how to keep ahead of the competition with CRM suppliers. The CRM 2015 trends include a continued importance for customer data analytics and customer engagement and experience. The setup has been rolled out to 21 callcentre staff who handle queries and complaints from customers on behalf of its corporate partner, Kia Motors. The centre handles around 54,000 inbound and 60,000 outbound calls each year, says Peate, with around two-thirds of them relating to questions about Kia’s current fleet of vehicles. “A third of the calls we receive will be related to a complaint or problem, but we’re an information service more than anything,” he says. “It’s not a typical customer service line where you pick up the phone and someone is angry or upset, but more often than not it's questions about the colours a car comes in, what accessories are available for it and that sort of thing,” he says. Regardless of the call’s nature, Peate says the company’s priority is to make the experience as slick and efficient as possible for those ringing in and on the receiving end of requests, which is precisely what the deployment enables. “If a customer who has rung before calls in, the software will recognise them and return a selection of relevant customer information to the agent handling the call so they know who they’re dealing with and what their last call to the service was about,” explains Peate. This removes a lot of the tedium involved in callcentre work, he says, as agents don’t have to go through the rigmarole of asking every caller to confirm their name and address. “Customers are pleasantly surprised we know so much about them when they contact us, because they bypass the monotonous data capture phase and jump straight into the conversation they want to have with us in the first place,” Peate adds. Furthermore, it’s had the added benefit of improving the overall efficiency of how the department operates, particularly when it comes to making outbound calls. “Salesforce has a ‘click-to-dial’ feature built-in, which is really helpful if we’re making 60,000-70,000 outbound calls a year,” he says. “If you save seconds by simply not dialling the number and you multiply that out, these relatively small efficiencies become big ones over the course of the year,” he adds. This could pave the way for agents to pick up even more calls than they do now, he adds. RAC has also credited the move with helping to increase its customer satisfaction ratings, while reducing the proportion of abandoned calls RAC experiences to less than 3%. As a result, the company is now looking to roll out this setup to other parts of its business, as part of a wider push by the company to embrace cloud-based technologies more. “We’re the first department within RAC to move away from the bespoke system,” he explains. However, the move to cloud is one the company intends to take its time over, particularly where its contact centre operations are concerned. “We’re happy with what we’ve learned and seen so far, but we’re not going to be jumping too far forward, as technology hasn’t really been a strong point in our contact centres, although it always has been on the roadside part of our business and is very heavily invested in there,” Peate explains. Along with the benefits already outlined, Peate is also confident the cloud-based telephony and CRM system will help it successfully bid for other, similar customer service contracts in the future, as system demonstrations can be a deal-clincher during the tendering process. “When people see how it works, it brings it to life, whereas it can be quite conceptual telling people that it can handle X amount of calls and has increased customer engagement by a certain percentage,” he says. “We’ll definitely be doing demos of it for any potential new customers,” he concludes.